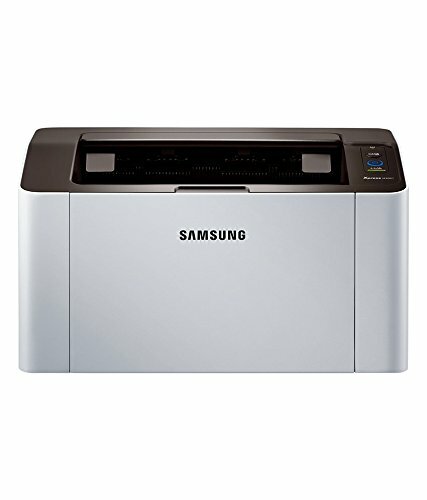 Samsung SL-M2021 laser printer is a user-friendly laser printer, which lets you print with ease. Equipped with 400 MHz processor, which has been coupled with 64 MB memory, the printer is highly capable of delivering super speedy prints of about 2ppm. The branded laser printer essentially caters to the speed need of offices and professional spaces. Print Function: The printer has a print resolution of 1200 X 1200 dpi print resolution that ensures sharper and smoother images. The One-touch function helps the user to regulate and operate the entire print operation with just a single touch of the button. Compact laser printer provides long lasting smooth performance throughout a lifetime. The machine efficiently delivers a monthly cycle of 10000 sheets with a high frequency of 20 to 21 sheets per minutes. If you need duplex print, then you need to feed documents manually.